Egon von Neindorff dedicated his life to the knowledge and promotion of the classical art of riding. He never wanted to be a reformist but purely an interpreter. He truly understood the philosophy of classical riding and was therefore able to teach his numerous national and international students to develop their own style. The essence of classical dressage requires a deep affection for the horse, understanding, sensitivity, humility and devotion. 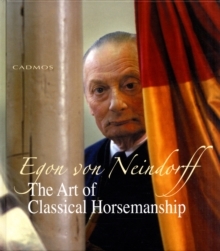 In this book, von Neindorff illustrates in more than thirty chapters his profound understanding of the natural training of horses. It encompasses a body of knowledge, which was previously only taught at his riding establishment in Karlsruhe.